If you’re looking for a trusted foundation repair company in Denton, Texas, then Granite Foundation Repair is the company that you are looking for. At Granite Foundation Repair, we offer a lifetime transferable warranty! Most people consider their home as the most valuable asset they will ever own in their lifetime. For this reason, homeowners take care of their homes to the best of their ability. Doing so helps to maintain the home’s value and keep it in good shape for the succeeding years. A home is not like a typical investment as it is subject to the daily wear and tear of life. If you do not take the necessary steps to properly maintain your property, damages may occur and your home can end up in bad shape. This is why you need to know who to call when problems arise. At Granite Foundation Repair we do our best to make that choice easy for our clients. With the most up-to-date and competent knowledge and skills, we always do whatever it takes to ensure that your home stands on a solid foundation. 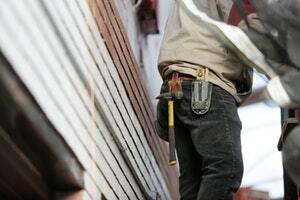 You will be confident that your home is in good hands when you trust us with the foundation repairs. Since 2000, we have been providing foundation repair services in Denton, TX, and other surrounding areas. In our years of experience in the industry, we have realized that both problems with concrete slab foundations and the necessity for repairs are common in Denton, TX. As a result of our commitment to providing high-quality services, we have been given an A+ BBB rating and we are the recipients of several Angie’s List Awards. At Granite Foundation Repair we can help you select the best pier system that supports all the way to the bedrock and complete the job accordingly. We understand the value of your home and how important it is that your home’s infrastructure remains stable. With this in mind, we utilize everything that we have learned from years of involvement in the business to make the best-quality repair for your home. As a family-owned and operated company, we are dedicated to professionally, efficiently, and correctly getting your repairs completed from the start. At Granite Foundation Repair our years of experience in the industry enabled us to learn the ins and outs of foundation repair. 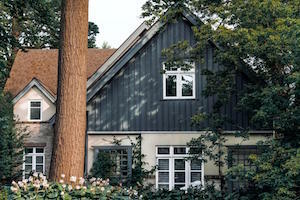 Our process starts with conducting a free evaluation to get a good perspective of the status of your home’s structure. A permit is necessary to conduct repairs in Denton, hence, we use engineers to review your home’s inspection and provide a final repair plan. Around 30% of the homes that we look at don’t require extensive repairs. In the cases of those that do, our specialists review the plan to fix the home’s structure with the owner. We believe that you should be able to stay involved and understand all aspects of the repair plan when it comes to conducting home repairs. At Granite, we make sure that you understand what we are doing in every step throughout the process, and help you understand the purpose of each step. We would gladly answer any of your questions regarding the repairs that we are conducting on your home. To avoid expensive repair fees and further damage, repair and stabilization should always be promptly tended to. If the damages to your home are not addressed in a timely manner, the condition of your home, repair needs and costs will get worse. This is true for many types of repairs that need to be done in your home – especially your home’s foundation. We sometimes find that the cost of house leveling and foundation repair can save you money in cases where the initial signs of foundation problems are written off. It costs less than the amount to repair the brick, fix the plumbing, re-bed the ceiling joints and walls, and replace roofing. If you suspect that something is wrong with the foundation of your home, don’t delay it any further. You can minimize both the damage done and the costs of repair by acting quickly. The value of your home and your wallet will thank you for it. When you see any sign of damage, call us for the best foundation repair in Denton, Texas. With many years of work in the industry, we know all there is to know about every aspect of the foundation repair process. We preserve the value of your property, make your foundation level, and keep your house in good condition. We know how to handle the problematic clay soils of Texas and work around any condition your home is in to restore it to its former glory. We’ve spent years building our reputation as Denton’s most trusted source for foundation repair. As one of the most established and reliable companies around, we effectively and efficiently terminate structural damage and solve a wide range of structural issues. Do your home, your family, and yourself a favor by giving us a call as soon as you see signs of foundation issues in your home. We properly restore pier, beam, and concrete slab foundations from the first step to the last. We are here to help regardless of your issues involve slab foundation cracks or moist crawl space issues. Take the first step today towards making your home’s foundation as good as new. Give us a call today and we’ll provide you a free repair estimate to get started. One of our well-trained experts will come to examine your home and inform you of everything that needs to be done to keep your home in great condition. Denton, Texas is a unique and flourishing community filled with a range of activities that could suit any personality. It’s a small town with a friendly atmosphere and is located only minutes away from the city. With so much to do it’s no wonder people love living in Denton.